Marble cake was always one of my favorite birthday cakes because the two batters look so special. 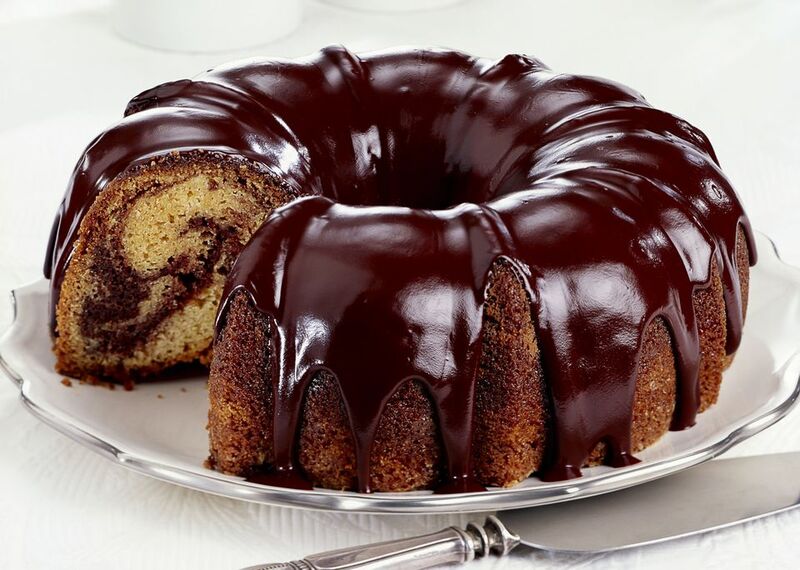 Top this marble cake with chocolate icing or a thin chocolate glaze. Bake the cake in a tube cake pan or bundt cake pan. 1. Sift flour, sugar, baking powder, and salt into a large mixing bowl. 2. Make a well in the center of dry ingredients; add oil, 7 egg yolks, cold water, and vanilla. Beat until smooth. 3. In another bowl, beat the 7 egg whites until stiff peaks form. Pour egg yolk mixture over the entire surface of egg whites, gently folding in to blend. 4. Remove 1/3 of the batter to another bowl. Blend boiling water, sugar and chocolate; fold into the smaller portion of batter. 5. Spoon half of the light batter into an ungreased 10-inch tube pan; top with half of the chocolate batter. Repeat layers. 6. With a butter knife or narrow spatula, swirl batters gently to marbleize. Bake at 325° F (165° C/Gas Mark 3) for 65 minutes. Invert and cool. Frost marble cake with chocolate butter frosting or drizzle with a chocolate glaze.